Amalgam putty is a combination of metal alloy (a mixture of two or more metals) and elemental mercury. Today’s low-copper dental amalgam typically consists of 50% mercury, 22-32% silver, ~14% tin, ~8% copper, and a few other trace metals. (1) Mercury is the element of choice in dental amalgam, as it is liquid at room temperature and therefore able to bond with metal alloy. 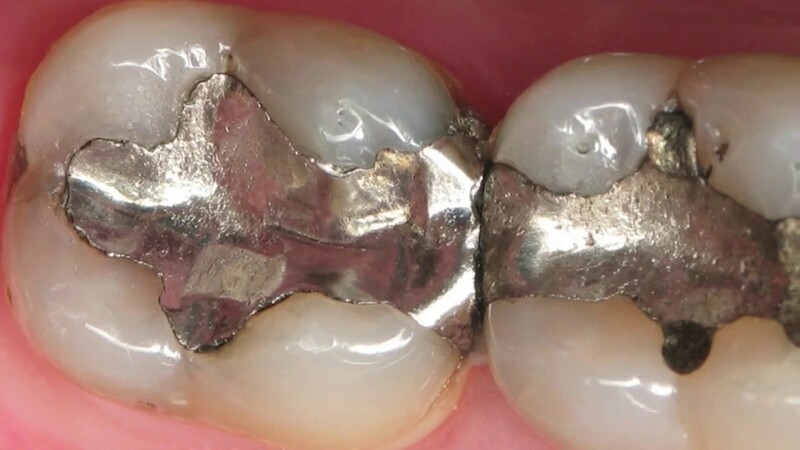 Once the metal alloy and mercury are bonded, the amalgam putty becomes solid and durable. Due to the high percentage of elemental mercury used in dental amalgam, there are of course stringent regulations put in place to ensure its formation, use, and disposal are handled properly. The FDA states that, “Dental amalgam contains elemental mercury. It releases low levels of mercury in the form of a vapor that can be inhaled and absorbed by the lungs. High levels of mercury vapor exposure are associated with adverse effects in the brain and the kidneys.” (2) For these health reasons, the formation and use of elemental mercury are constantly examined for safety and effectiveness. In regards to the disposal of dental amalgam waste, the environment is the concern. If not disposed of properly, amalgam waste containing mercury can be exposed to the environment and impact a community. To combat this risk, dental offices are required to make use of amalgam separators. Amalgam separators are machines that remove amalgam particles from the wastewater generated by dental offices. In a 2017 ruling, the EPA now requires amalgam separators to achieve at least a 95% removal efficiency. (5) Compliance with this EPA ruling is mandatory for all dental practices in the United States. The amalgam waste cannot be discarded in the trash once separated from the wastewater. Instead, it must be sent to a facility that specializes in melting the metals and recycling that mercury. Amalgam recycling keeps the discarded mercury from entering the environment. Utilizing an amalgam recycling ship-back system removes the issue of locating a proper amalgam waste facility. The use of dental amalgam has been an effective method for filling in cavities formed through tooth decay for over a century. Utilizing elemental mercury can be hazardous towards the health of the patient if not mixed properly with the metal alloy, and standards are in place to combat the risks towards both the patient and the environment. Discarding of amalgam waste requires the use of amalgam separators that are regulated by the EPA for their efficiency at removing mercury from wastewater. (1) “Amalgam (Dentistry).” Wikipedia, Wikimedia Foundation, 4 Oct. 2018, en.wikipedia.org/wiki/Amalgam_(dentistry). (2) Center for Devices and Radiological Health. “Dental Amalgam - About Dental Amalgam Fillings.” U S Food and Drug Administration Home Page, Center for Devices and Radiological Health, www.fda.gov/medicaldevices/productsandmedicalprocedures/dentalproducts/dentalamalgam/ucm171094.htm. (3) Czarnetzki, A.; Ehrhardt S. (1990). "Re-dating the Chinese amalgam-filling of teeth in Europe". International Journal of Anthropology. 5 (4): 325–332. (5) Effluent Limitations Guidelines and Standards for the Dental Category[PDF]. (2017). EPA.